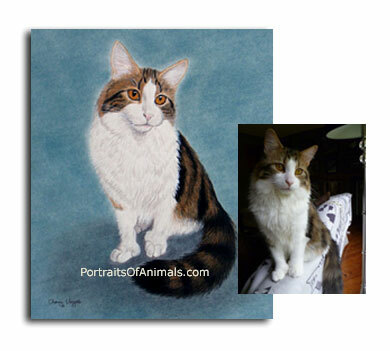 Realistic pet portrait drawings of dogs, cats, parrots, horses and other exotic pets drawn from your photo! I can draw your dog, cat, horse or bird from your photo-click here! 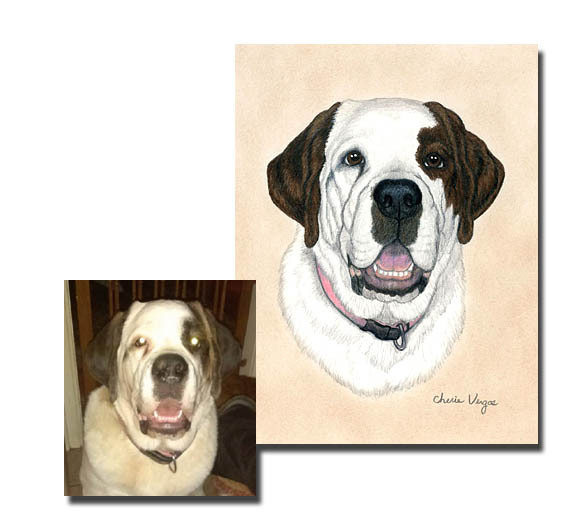 My pet portraits are hand-drawn from your favorite photo of your pet! 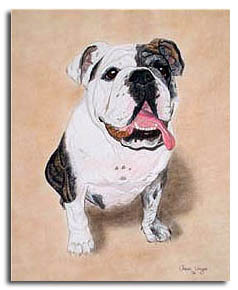 A Pet Portrait by Cherie captures the beauty, sweetness, and personality of your special companion in lifelike detail—the way only a true work of art can! 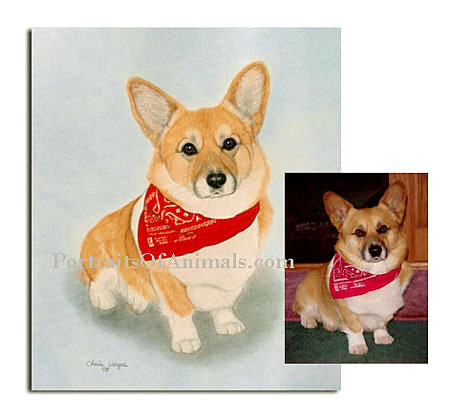 Now, you can have a true-to-life portrait drawn of your beloved best friend, ensuring that you always remember that favorite moment or classic animal expression forever! "Cherie's drawing of Cullen is fantastic!!! She captured his beautiful eyes and mitts. Cullen is a "mitten kitten". 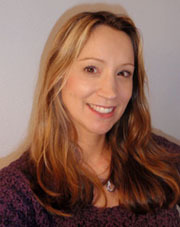 Your complete satisfaction is very important to me, and that is why all of my portraits are 100% guaranteed! You will even receive a scan of your portrait, for your approval, before I mail it out to you. You consider your dog, cat, bird, horse, or other pet part of the family. They give you the unconditional love that only an animal can give. They’re loyal, loving, forgiving, sensitive, and they’re always there when you need a friend. The memories you share with a pet are among the most precious you will ever make. GIFT CERTIFICATES are always available if you don't have a photo and want to give a portrait as a gift to someone special! 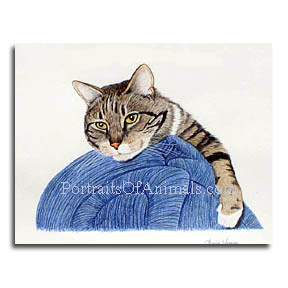 A portrait is a wonderful keepsake of your pet for you to cherish forever. They also make a thoughtful, unique gift for anyone who loves their pet as much as you do. Pet Portraits by Cherie Vergos © Unauthorized duplication of text, photos, artwork and/or files are in violation of applicable laws. All rights are reserved.